As the founder of Alfa Vedic I extend a most warm welcome to the AV community, and those of you exploring this site for the first time. Alfa Vedic is a departure from the norm, so you need to know a bit about us to get started. Alfa Vedic is five decades in the making, a culmination of our experience in athletics, medicine and farming. These endeavors have become both vocation, and lifestyle, while providing a vehicle for our present mission. Our team is now multi-generational, continuing the exploration with new eyes and talents, but never losing the thread. Alfa Vedic is a system, a living technology. I was fortunate to have learned from the best. Many were icons in their respective fields, and it’s now my responsibility to pay it forward. I mirrored their actions; learn, practice and observe. Alfa Vedic is the result. The Asian model of the Five Elements depicts health as an effortless and balanced flow of energy. The Alfa Vedic system gives you the practical tools to live in alignment with these same principles. 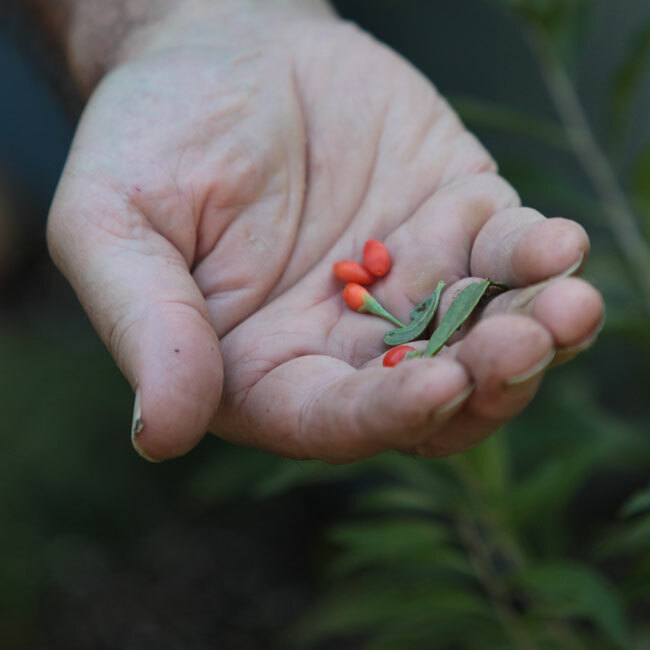 Our creations address health and performance through the evolution of mind, body and spirit in equal measure. 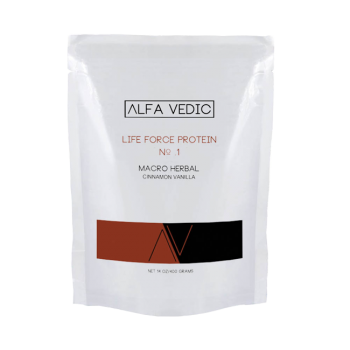 Alfa Vedic’s five nutritional product categories can be used independently, but gain greater versatility when their interconnectedness is better understood. Our pages will provide ample technical information, but the overall system is intuitive by design … plug and play, if you will. FORMULATIONS: Five blends, each within a proprietary protein base of organic, anti-oxidant fruit seed proteins (Blueberry Seed, Cranberry Seed, Black Cumin Seed, Grape Seed) and organic Hemp Hearts. FUNCTION: Our foundational hi-protein, total nutrition formula for blender shakes, or a quick on-the-go meal replacement. A variance of functional enhancements from organic herbs, pollens, medicinal mushrooms and super-greens lend different attributes to each of the blends. Remarkable flavor is achieved with pure essential oils, and other organic sources to perfectly compliment the formulations. ENERGETIC/EARTH: Within the classical Asian Medicine classification of the Five Elements, the Life Force line represents the element Earth to ground and nourish. FORMULATIONS: Potent Herbal-Greens extracts within an Amino Acid matrix, pure essential oils, and homeopathically-directed with the 12 Scheussler Cell Salts; five separate smart nutrition formulas, with five separate functions. FUNCTION: Each formula makes use of specific amino acid and herbal combinations for a powerful boost to every facet of your health and lifestyle. Spirulina extract, essential oils and the 12 Tissue Salts both optimize and direct the amino-herbal effects for the greatest potency imaginable. A little goes a long way, add a small scoop to your Life Force Protein shake, Zero Point liquid solutions, or simply add it to 4 oz of water. 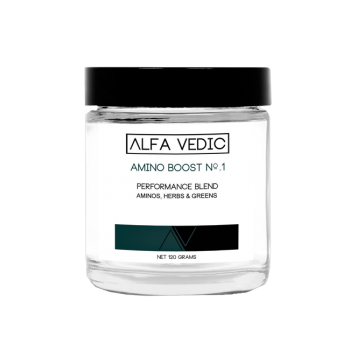 ENERGETIC/WOOD: The Amino Boost formulas are categorized within the Wood element due to their regenerative/enhancement functions similar to Wood element attributes synonymous with the Spring season of renewal. FORMULATIONS: ZP formulations begin within a Humic-Fulvic predigested plant-derived mineral base, known as Shilajit in Ayurvedic Medicine. Each formula is Transitional Element activated, and further refined for a specificity of action with the addition of ionic minerals, vitamins, enzymes and co-factors in a liquid format for rapid assimilation. FUNCTION: Humic/Fulvic is the most desirable source of valuable, predigested minerals, and provide the most basic vitality tonic necessary for human health. 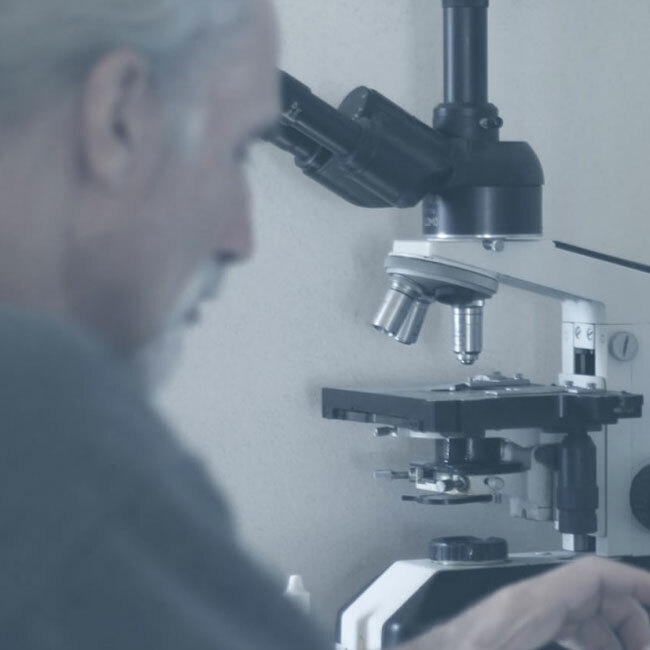 The so-called Transitional Elements (ceramic state minerals) are a remarkable discovery for both science, and nutrition; they serve to elevate the overall effects on both chemical and energetic levels, with transformative effects on the central nervous system. ENERGETIC/METAL: Metal element is the mid-point between the Earth and Water elements to catalyze the possibility of life on this planet. 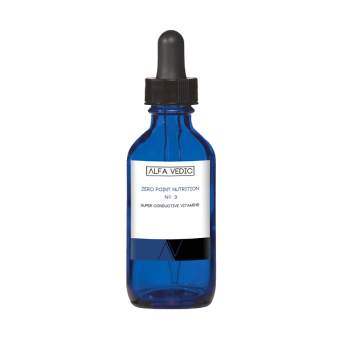 AV Zero Point Liquid Solutions encourage similar transmutative changes within the human body. FORMULATIONS: Each of the five blends feature core thermogenic (naturally-caffeinated) organic coffee and teas, balanced with key medicinal herbs for both immediate, and long-term health-building action. They are especially designed to blend hot with coconut oil, or raw butter for delicious café style beverages. FUNCTION: When naturally-caffeinated beverages are blended with unprocessed coconut oil or butter, the caffeine has a more gentle time-released effect for a sustained blood sugar and energy. 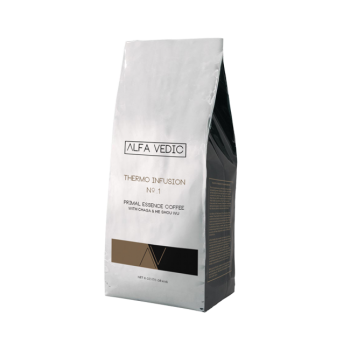 This practice has gained popularity with coffee drinkers, and the entry of AV Thermo infusions offers greater health benefits with the addition of tonic herbs, and a versatility of attributes to satisfy coffee, tea, mate and chai drinkers alike. They are packaged for multi-serving convenience, requiring no more effort than your present cup of morning Joe. The taste and effect are wonderful! ENERGETIC/FIRE: Thermogenic herbs reset/raise metabolism to catalyze all biological function, an obvious Fire element activity. Fire is associated with the summer season, when this element predominates to spark the life sewn in spring. FORMULATIONS: Our five Immortality Teas showcase homegrown Alfa Vedic Gardens Jiao Gu Lan, known throughout Asia as the “Tea of Immortality”. These exquisite tea blends are further complimented with organic herbs, berries and essential oils for their known health benefits, aroma and taste. FUNCTION: AV Immortality Teas feature the longevity promoting, adaptogenic qualities of Jiao Gu Lan “similar to Ginseng Root only better”. Each tea is designed to deliver the effects of its companion herbal constituents for relaxing, aiding digestion, cleansing, invigorating and nurturing. We believe taste to be of utmost importance; the flavor and aroma of these creations will exceed your expectations. ENERGETIC/WATER: Nurturing teas have a strong impact on the emotional body, and the reason “tea time” has persisted through centuries of tradition. Emotions are ruled by the Water element, and Kidney-Urinary system; AV Immortality Teas cleanse and tonify on each of these levels. Health, organic agricultural and athletic training are addressed by our resident professionals. Always a bit edgy within a socially relevant context to stretch conventional mindsets. 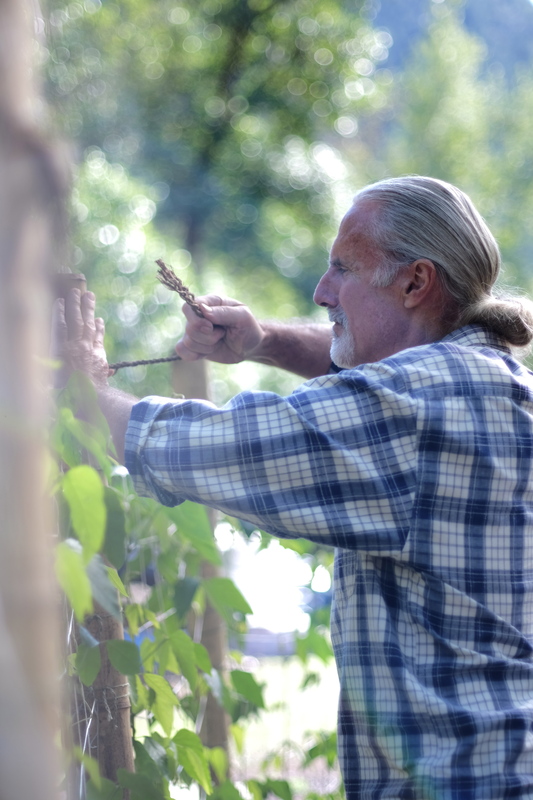 We’ll be sharing the development of AV Gardens at our new location, and you’ll learn how to live elegantly off-grid, or more intelligently in an urban environment for greater self-sufficiency and health. 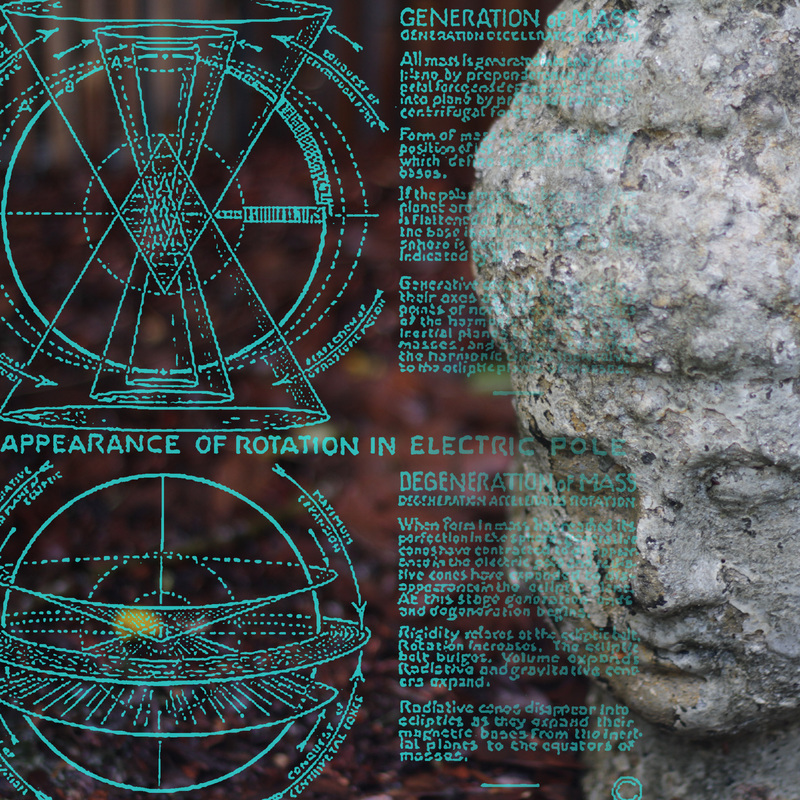 We share our journey in applying the genius of Walter Russell, Viktor Shauberger and Nikola Tesla to our agriculture, athletic training and practice of medicine with rewarding outcome.